If you’re on the fence about selling your house this year, maybe you should consider making up you mind by the end of the month. According to Zillow, May is the best time of the year to have your property on the market, as on average homes sell two weeks faster and at a $2,400 premium as compared with other times of year. Apparently May 2018 is an especially opportune time to sell your home, as late spring marks peak selling season in 14 of the 24 major regional markets and there has a documented shortage of listings for sale this year. 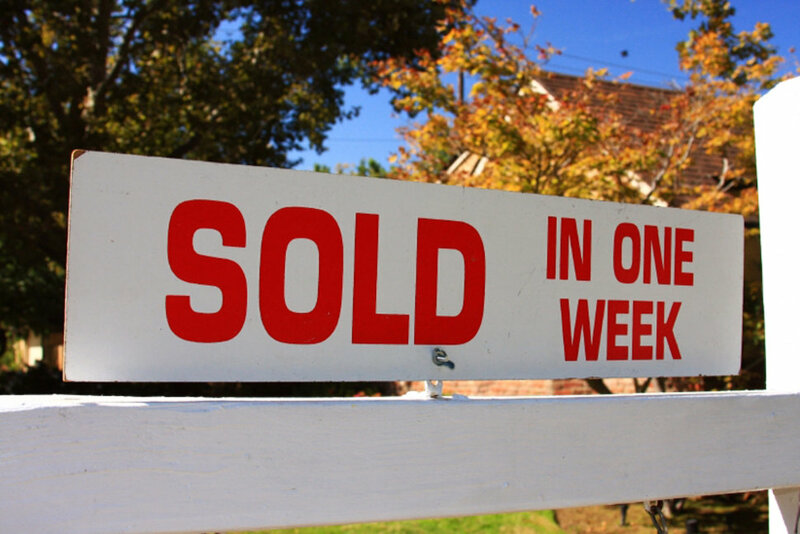 That means means buyers are looking to close before the summer months hit, and their impatience could be your gain so quit stalling and pack it on up. By now it’s not exactly a secret that airfare prices can seemingly change with the wind, so timing can also be key to scoring great deals on travel as well. This comprehensive guide for tip-hungry travelers breaks down the best time frame to buy your tickets depending on the region you plan to visit…for example, if you have your sights set on a trip to the Caribbean, the best time to buy a ticket is about 200 days before your date of departure, and you can save substantially by flying out on a Tuesday or Wednesday. Obviously, events taking place at the locale such as festivals and holidays can have an effect on the price of travel, so don’t expect to score a rock-bottom rate for a trip to Brazil during Carnival. Still, shopping smart can earn you funding for a few extra perks during your vacation, so it’s well worth taking into account. Don’t forget to use Incognito Mode so the system won’t see that you’re too interested and jack up the price…they do that, you know. It’s not just hype…Apple AirPods are amazing, and the way they’re integrated into the features of the phone is nothing short of stunning. I love mine, but if you want to read the review of a more widely recognized authority on Apple, this piece breaks down what makes them so great…for starters, the Charging Case delivers up to 3 hours of music time on a 15 minute charge…wow! You may also be wondering how to keep a small white accessory that you jam into your ear and wear around the world clean, and the site was insightful enough to also provide a guide to keeping your AirPods looking and sounding factory fresh in this filthy modern world. If you’re not on NextDoor yet, you should be. This convenient community resource is designed as a social network for your neighborhood, and you can use it for marketing to local buyers just as easily as you can invite the entire neighborhood to a backyard barbeque with the service. I sold my old workhorse truck with over 220k miles of experience within just a few days after trying a range of selling sources…I suppose it’s sort of like Craigslist without all the Craigslist. Well, as nice as it was to chat with you fine folks again that’s about all the time we have for this edition of Brad’s Blog! If I have my way I’ll be right back in your inbox within a week, and if you stumble onto any sweet sales this week I’m always looking for ways to save money for the more important things in life like my Amazon wish list, so don’t be shy about shooting me an email!